What Is The Capital Of Finland? Helsinki is the capital of Finland and houses the Parliamentary House, the Supreme Court, and the official residence of the President. Finland is a Northern European sovereign state. It is a peninsula that is bordered by the Gulf of Bothnia to the west and the Gulf of Finland to the south. Sweden borders Finland to the northwest, Russia to the east, and Norway to the north. The population of Finland has remained fairly stable over the last two decades and, as per the 2014 census, is currently 5.5 million. Areawise, Finland is Europe’s eighth largest country and is the European Union’s most sparsely populated nation. Finland’s is a representative democracy and a republic. The Parliament of Finland is the legislative power of the country. The Cabinet or the Council of State, headed by the Prime Minister exercises the executive powers in the country. The Prime Minister of Finland is the Head of the Government while the President is the Head of State. The President has, however, limited powers and decides on certain issues like personal appointments and pardons on sentences as per the advice of the relevant minister. What Is The Capital Of Finland And Where Is It Located? Helsinki is the capital of Finland. The city is located in southern Finland’s Uusimaa region on the Gulf of Finland’s shores. The city is 80 km away from the north of Tallinn in Estonia, 388 km west of Russia’s St. Petersburg, 400 km to the east of Stockholm in Sweden. The capital city of Finland hosts a population of 629,512, and it is thus the most populous city in the country. King Gustav I of Sweden established Helsinki, then known as Helsingfors as a trading town in 1550 with the aim of providing competition to the Hanseatic city of Reval which is modern-day Tallinn. However, the plans were not too successful as the town remained plagued by war, disease, and poverty. Helsinki’s status, however, improved with the construction of the Sveaborg naval fortress in the 18th century. The actual growth and development of the city took place after Russia captured control of Finland from Sweden after the Finnish War. The Russian Czar Alexander I relocated the capital of Finland from Turki to Helsinki in 1812. Today, Helsinki is the fourth largest metropolitan area in the Nordic region. The capital of Finland serves as a major political, cultural, economic, and educational hotspot in Finland. Nearly 75% foreign companies investing in Finland are located in the Helsinki area. Most of the important government buildings of Finland are situated in the capital city of Finland. The Eduskunta or the Finnish Parliament consisting of 200 members meets at the Parliament House located in Helsinki. Currently, due to the 2015–2017 renovation of the Parliament House building, the parliament is temporarily meeting at the nearby Sibelius Academy. 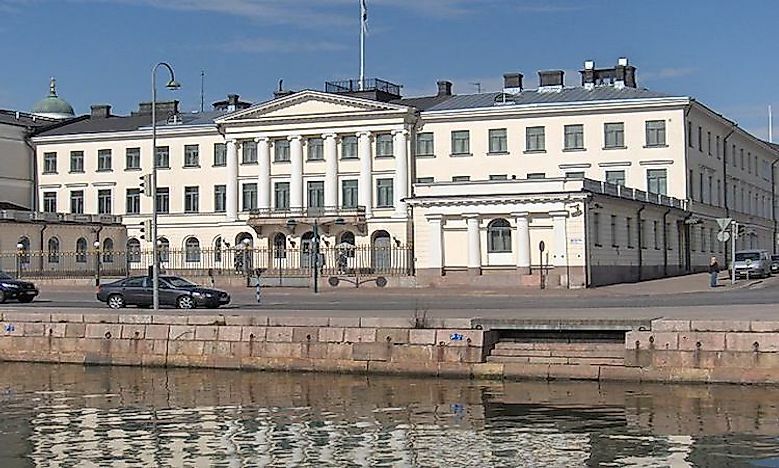 Helsinki also houses two of the three official residences for the President of Finland, the Presidential Palace, and Mäntyniemi, the third being the Kultaranta in Naantali. The Supreme Court of the nation is also located in the capital city of Finland. What Languages Are Spoken In Finland?